Home Bloggers Activities Special discounts for bloggers and readers! Special discounts for bloggers and readers! Sarawak Bloggers is proud to collaborate with Malaysia’s biggest online retailer, Lazada Malaysia to bring more benefits the readers of www.sarawakbloggers.net and bloggers in our Sarawak Bloggers community. 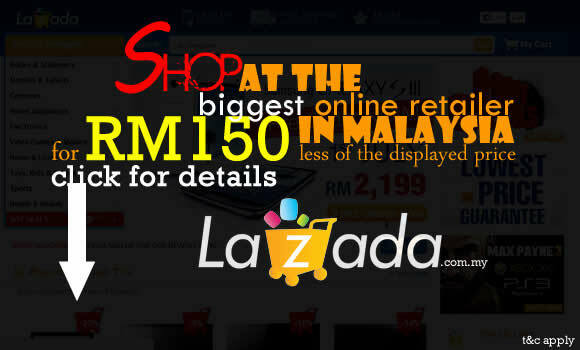 Without beating behind the bush, Lazada Malaysia and Sarawak Bloggers is offering a discount voucher of RM150 for any purchase you make through Lazada Malaysia (www.lazada.com.my) for any total purchase of over RM400. All you need to do is key in the promotion code BLOG150 in the voucher section, and you are done! The voucher section will be made available when you check out your shopping basket. This means, if your total expenditure is RM400, you only have to pay RM250. There is no limit to the voucher usage, so invite your friends and families to grab something as the promotion is only until 18 June 2012. If you are a blogger, share this amazing offer in you blog with the promotion because it can be extended to your readers as well! Positive feedbacks are encouraged, but not a must. 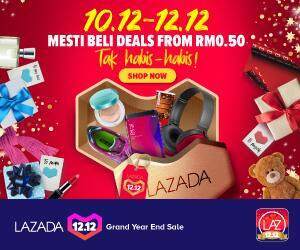 In case you didn’t know, the Lazada allows Cash on Delivery (in case you feel insecure about the online transactions), Free delivery within Malaysia for items below 25KG, and a 14-day money back guarantee!